We don’t often see this kind of reasoning in retraction notices, since adding to one’s publication record is generally a good thing. But occasionally papers do get pulled when researchers are included against their wishes. Talk about a popular patient: A woman who developed a case of internal bleeding while taking the anticoagulant Xarelto (rivaroxaban) was written up in not one — but two — case reports. The trouble was, both groups didn’t realize what the other was doing, so the more recent article is now being retracted from the Journal of Clinical Pharmacy and Therapeutics. The authors, a trio of doctors at Sakarya University in Turkey, described the case of a 75 year-old woman who came to the emergency room for fatigue and stomach pain after taking rivaroxaban for three days. A scan revealed a rectus sheath hematoma. However, the case had already been published a few months earlier in the Indian Journal of Pharmacology by a separate group of doctors from Sakarya, along with authors from Yenikent State Hospital and Vakfikebir State Hospital. 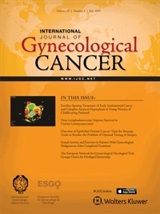 Over a decade ago, a case report on a woman with cervical cancer and lymphoma was “published twice” by the International Journal of Gynecological Cancer within the span of a few months. The retraction note came out just now. One copy of the paper appeared in the July 2003 issue of the journal. The second, now-retracted, copy — “Coincidental detection of T-cell rich B cell lymphoma in the para-aortic lymph nodes of a woman undergoing lymph node dissection for cervical cancer: A case report” — was published later that year, in the September issue. 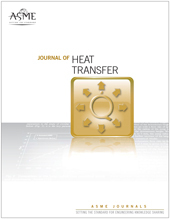 An article published earlier this year has been retracted from the Journal of Heat Transfer. But the retraction notice gives no information about what was amiss. The article, “Molecular simulation of Zn2+, Cu2+, Pb2+, and NH4+ ion-exchange in Clinoptilolite,” investigated how well different natural forms of the zeolite Clinoptilolite remove heavy metals from wastewater. 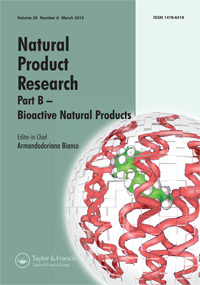 It came from the lab of Mehmet Göktuğ Ahunbay, of Istanbul Technical University, accompanied by first author Barış Demir. A pair of plant experts at Uludag University, in Turkey, has lost a paper on techniques for drying parsley because they evidently left a key contributor off the manuscript. The article, “Effect of Vacuum, Microwave, and Convective Drying on Selected Parsley Quality,” was published online in June 2011 by the International Journal of Food Properties. 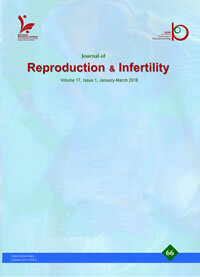 The European Journal of Obstetrics & Gynecology and Reproductive Biology has retracted a 2014 paper on polycystic ovary syndrome for self-plagiarism.